Quad-core Chip. 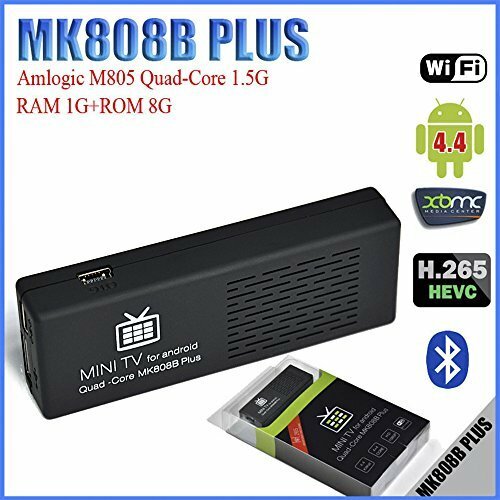 Mk808B plus TV dongle upgrade for AML8726-MX, bring faster multi-core performance, better GPU, HEVC, 1080p H.264 video encoding, and Gigabit Ethernet. Power consumption should also be lower than to the Cortex A5 cores instead of Cortex A9 for the other SoCs. Better and faster android OS. 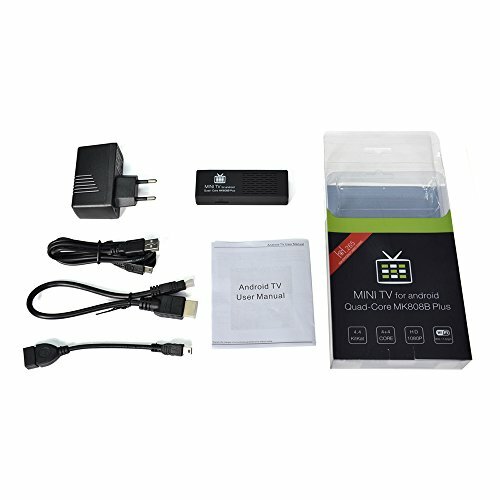 Mk808B plus TV dongle enjoyed customization on the highly evolved Android Kit Kat 4.4.2. Enjoy the best of Google bring his voice commands, Hangouts app and Google Drive to easy your life. 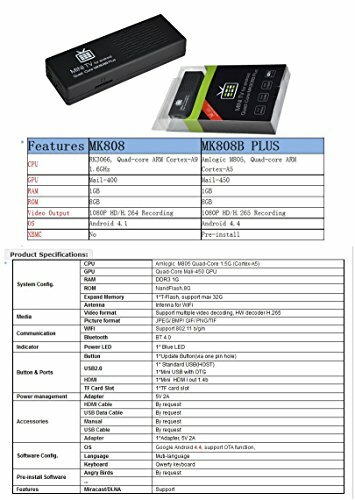 1G RAM 8G ROM and all kinds of function port. Powered by 2.0GHz Quad-core processor. Stop restricting yourself to just one app at a time as the 1GB RAM lets you multi task effortlessly. Sufficient memory can help you enjoy your download. 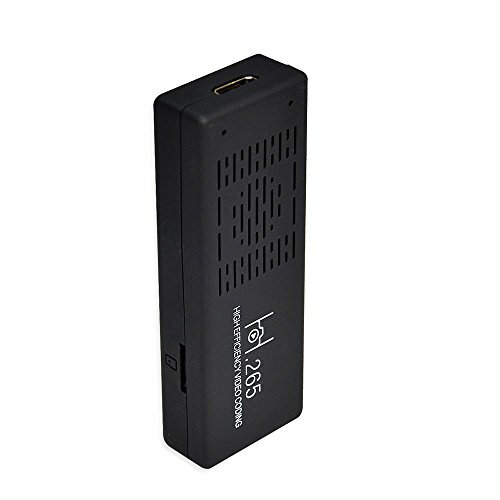 Support HDMI/TF card/USB2.0/OTG/Bluetooth/WIFI/etc. 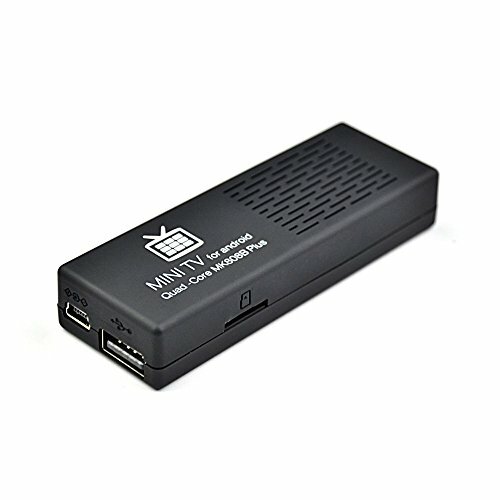 Pre-install Video Software-XBMC. 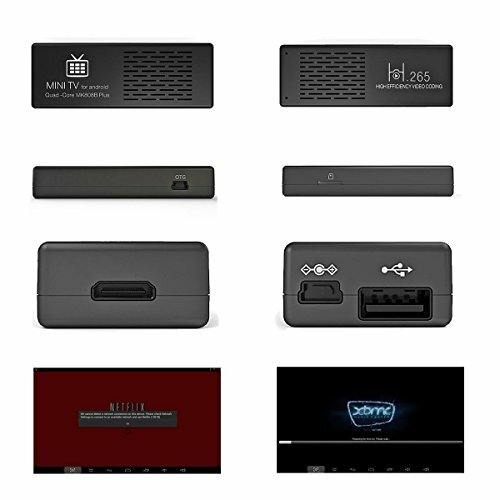 Pre-install XBMC media center, XBMC can be used to play almost all popular audio and video format around. 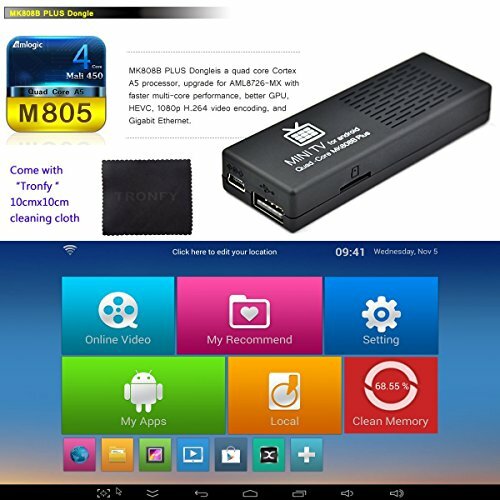 You can stream your multimedia from anywhere in the house or directly from the internet. Unique Functions. The integrated mircast function. Support multi-screen interactive. 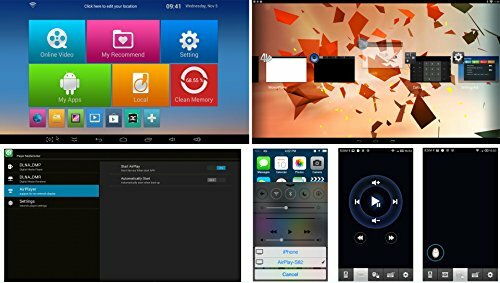 Let mobile devices obtain a bigger screen, video, music and game, etc. It the best gift to your friend and your family.